Teen Breathe is a bi-monthly magazine that aims to help teenagers have a happier, healthier and more fulfilled life. The younger sister to the popular Breathe magazine which offers mindfulness and physical wellbeing tips and advice. Buy a single copy or subscription to Teen Breathe magazine. 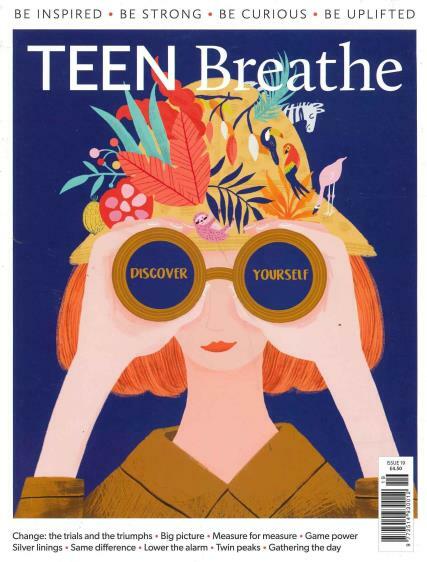 The word mindfulness seems to be everywhere these days and Teen Breathe magazine focuses on ways to helps its readers fully understand the mind and how it works. It encourages teenagers to stay positive and appreciate all the good things in life. Teen Breathe is filled with helpful guides and activities including, meditation exercises, yoga for beginners, dream journals and information on managing social media. Plus, find free pull outs to fill in and keep to reflect back in the future.